Christopher A. Rascoe attended the University of Georgia, where he received his undergraduate and law degrees (A.B., J.D.). While attending law school, Mr. Rascoe served as a member of the editorial board of The Georgia Journal of International and Comparative Law. After law school, Mr. Rascoe attended the College of William and Mary and received a Master of Laws degree (LL.M.) in Taxation. Mr. Rascoe began his professional career in 1995 at SunTrust Bank (formerly Trust Company Bank of Georgia) as a tax accountant in the trust department. At SunTrust Bank, Mr. Rascoe was responsible for federal and state tax compliance for estates, charitable trusts, and private foundations. After several years with SunTrust Bank, Mr. Rascoe went into private practice as an attorney with Hendrick & Hunter, LLC, a predecessor firm of Hendrick, Rascoe, Zitron & Long, LLC. Mr. Rascoe is now one of four principals in the firm and practices in the areas of estates and trusts, taxation, planned giving, and business formation and planning. 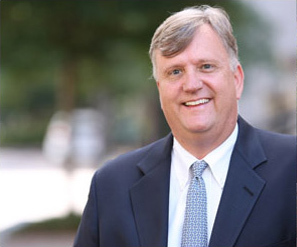 Mr. Rascoe has been admitted to practice law in Georgia and Maryland; is a member of the State Bar of Georgia; is admitted to practice before the United States Tax Court; and is a member of the Atlanta Estate Planning Council.